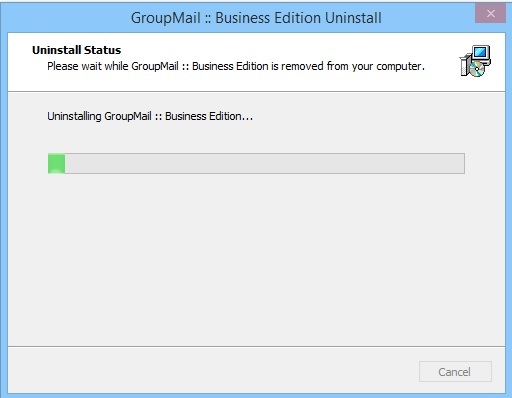 How do I Uninstall GroupMail from my Machine ? Note : The images in this article are based on a Microsoft Windows 8.1 Operating Systems. However the same steps will apply to all Windows Operating Systems. 1. Close all Programs, then go to the Control Panel on your machine (usually under the Start Menu). 2. 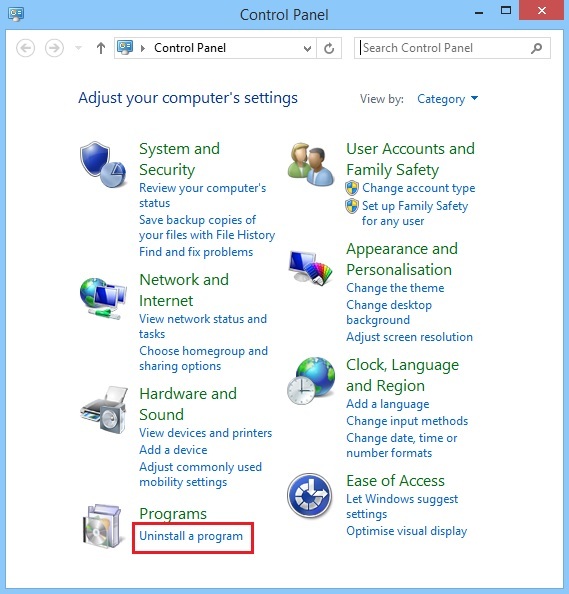 Choose the option “Uninstall a Program” under the Programs heading. 3. Under the list of available programs, locate GroupMail. Then right Click on it and choose “Uninstall“. 4. Click “Yes” to confirm you wish to uninstall. The System will begin uninstalling. Once complete, it will give the following message. 5. 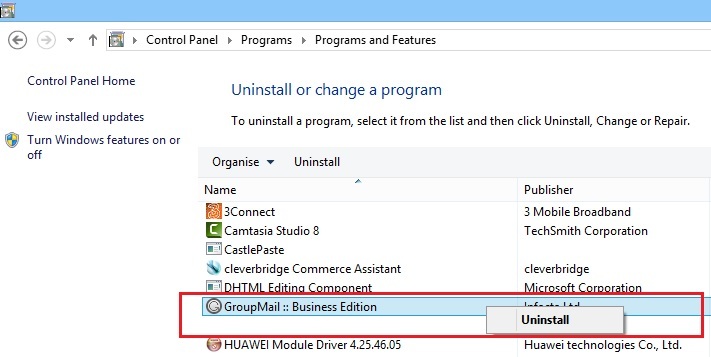 Finally, the GroupMail Data Folder can be manually deleted to remove all GroupMail Data using Windows Explorer. Then Delete the “Infacta” Folder from here. Note : Normally this will remove all shortcuts from your Start Menu and Desktop. On the off chance that you are using a Windows Operating System that doesn’t you can simply right click on the Shortcut and delete it from here.